US officials and the presstitutes tell us that the illegal US missile attack on Syria destroyed chemical weapons sites where chlorine and sarin are stored/manufactured. 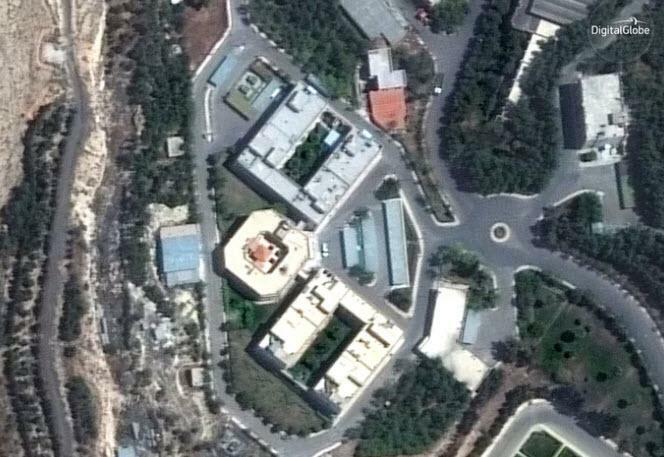 The Barzah Research and Development Center in Damascus, Syria, before it was struck by coalition forces on Saturday. 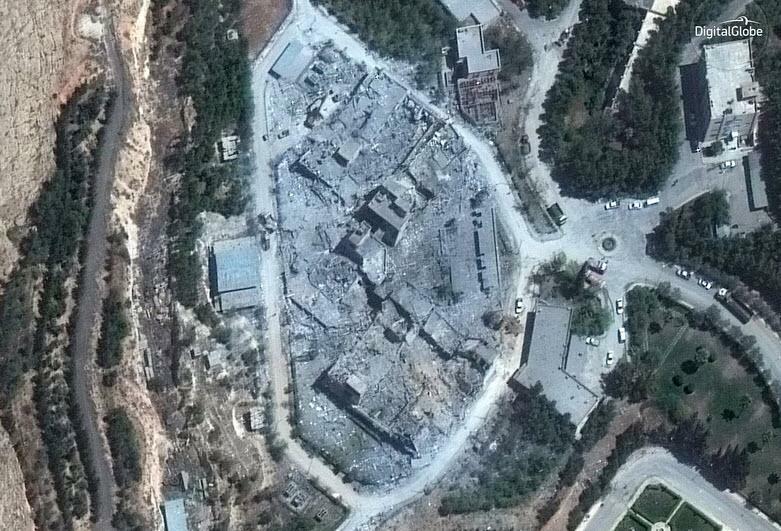 This satellite image, taken Monday morning, shows the Barzah Research and Development Center in Damascus after it was struck by coalition forces. If this were true, would not a lethal cloud have been released that would have taken the lives of far more people than claimed in the alleged Syrian chemical attack on Douma? Would not the US missile attack be identical to a chemical weapons attack and thus place the US and its vassals in the same category as Washington is attempting to place Assad and Putin? What about it, you chemical weapons experts? Do chemical weapons only release their elements when they explode from intended use but not when they explode from being militarily attacked? There is no evidence in Syria of chemical residue from the chemical weapons facilities allegedly destroyed by US missiles. No reports of hospitals treating Syrian casualties of the American chemical attack. How can this be if such sites were actually hit? When I was a Wall Street Journal editor newspapers had competent journalists to whom such a question would occur. But no more. Stephen Lendman takes the New York Times to task for its unprofessionalism. The NY Times is no longer a news source. It is a propaganda megaphone.